I am not so sure. We are now in full politics. While you can expect the SNP robots to vote against (they'll do that, because that's what they are), I am not sure that other politicians are so enslaved to their party line. They are more sensitive to their constituencies and to their reputation. The problem with Brexit is that everyone wants something different. There was never a chance that the "deal" was going to suit everyone. All we have is a bunch of politicians saying why it's not what they want, but are they really prepared to drag this on? Of course the Remainers want to drag this on, because that's the only chance they have of staying in the EU. If Parliament vote "no" then the SNP get what they want, but everyone else gets mayhem, and there's the chance it'll go back to another referendum. On the "People's vote" aka another referendum. There have been nearly 50 referenda cross the EU about various bits of membership. Each time the EU supporters don't get what they want they get another referendum. Time for the UK to break the mold. The problem with Brexit is that everyone wants something different. There was never a chance that the "deal" was going to suit everyone. and we have ended up in a straight jacket. we had to be honoured. May should be opening her own wrists with the crap her and her gooberment propose! At least one good thing with come of Brexit, it will sink her and her administration's battleship. But at what cost at the same. 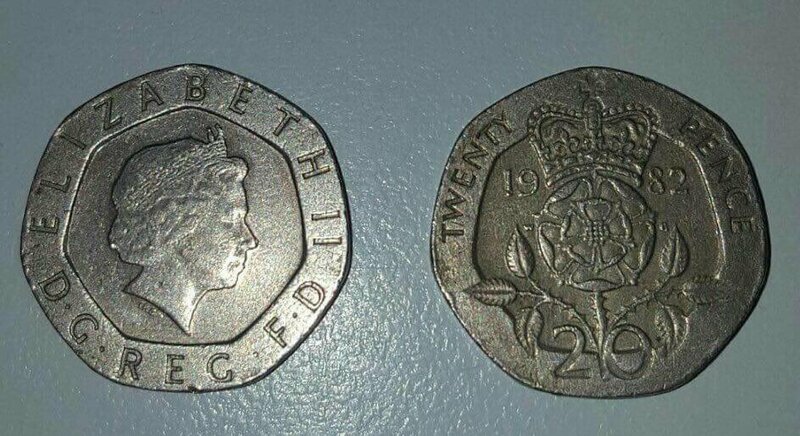 This will be our new look Independent UK pound coin after Brexit, for the majority of us and for the foreseeable future. You don't know that mate, it's just your opinion. The £pound dropping created a bumper year for everyone in my region, more foreign tourists and 'D' or 'F' plated cars around than I've ever seen before...we have been booming on foreign cash and everyone else says the same because it trickles down to everyone...the small hotel had a good year so can now afford to refurbish their rooms and pay people like me...I have more cash in my pocket so spend it at the pub or local shop. Nope, it may be different for you where you are but the weak pound means boomtime for anywhere which relies on tourist money, there will always be winners and losers. Cheer up. It could be worse. There's no doubting that Brexit is destabilising to the comfy encroachment of a federal Europe, led by globalists and unelected elites, but the UK will survive. Probably flourish. The UK will remain close to the EU, and as the British are Europeans we'll get along just fine. However, the EU sort of cramps our style, especially the unelected robot bit. Current PM is "unelected", just a thought. Hope you are correct about Brexit paraphi	because at the end of the day all anybody wants is a wee bit stability and a better future for our children, might be nice if things don't cost an arm and a leg also. Don't see it myself through but on this occasion, i would be glad to be wrong. "You don't know that mate, it's just your opinion." What else could i possibly offer other than opinion? The facts and implications being rather hard to come by or still in the post. It's different in many an area, and it will be different or at least a significant proportion of the funding will have to come from somewhere else where you hail from also after Brexit, that's a given really. The only winners will be the privileged few with the funds and monies available to ride out the socioeconomic stagnation of tour nation for the few decades imho. The people in her constituency who elected her would argue differently. The membership of her party who then elected her leader would too.